"Jurassic World Global Trailer", See the global trailer for Jurassic World, the latest installment in the Jurassic Park franchise. In the 2015-released film, "Jurassic World," the ideas which Dr. John Hammond had in "Jurassic Park" have come to pass. 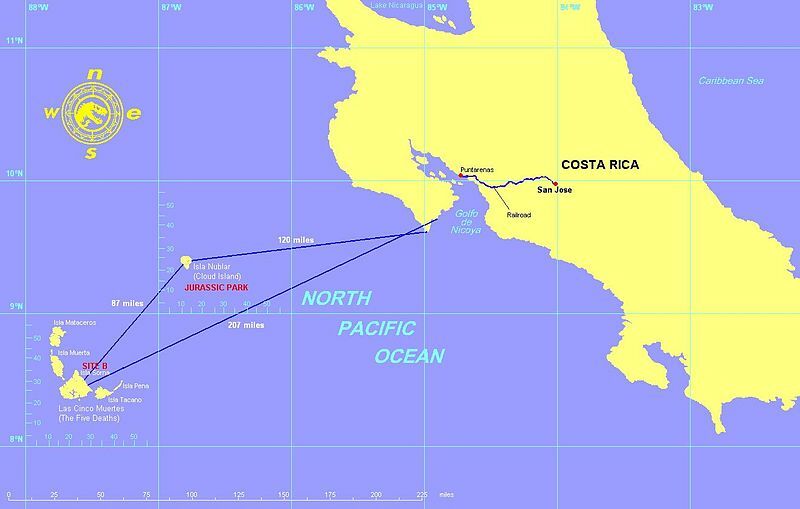 People from all over the world can visit a theme park, on the fictional island of Isla Nubar—located 120 miles (190 kilometers) off the western coast of Costa Rica—to see dinosaurs and other attractions. One of Hammond's ideas—to recreate extinct dinosaurs in a lab—has also come to pass. The consequences of trying to achieve the "wow factor," however, backfire when Indominus rex lives up to her indomitable name. This video is one of the global trailers for "Jurassic World." Global trailer for "Jurassic World," copyright Amblin Entertainment, Legendary Pictures and Universal Pictures, all rights reserved. Provided here as fair use for educational purposes and to aquaint viewers with the production. Bos, Carole "Jurassic World Global Trailer" AwesomeStories.com. Jun 07, 2015. Apr 20, 2019.